SAN JOSE, Calif. - July 12, 2016 - PRLog -- By default, the retail giant Amazon was not offering Why Epic customers free shipping, but by exploiting an administrative loophole, all customers can now ship their phone mount for free. 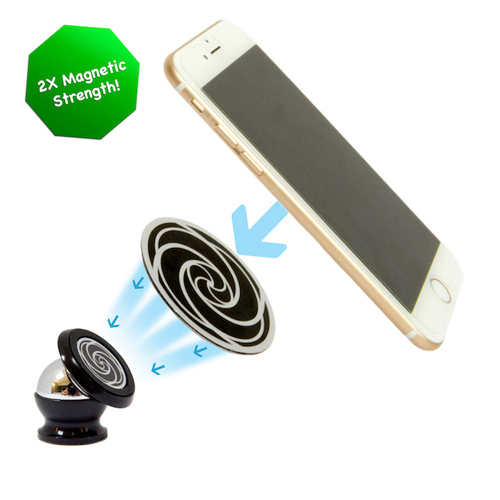 Cars, trucks and vans are all common installation choices for the magnetic phone holder. By simply peeling and sticking the mount to a flat, smooth surface on your dashboard your mount is attached. Do the same for the non-magnetic disc and attach it to your phone. Flip the magnet onto the mount and now your phone can be safely and securely mounted onto your dash. Why Epic is a father-and-son owned family business based out of Silicon Valley, California. With a history in technology, they aim to make smartphones smarter by providing excellent cell phone accessories. "I know customers want free shipping and by providing it for our premium phone holders, we are opening the door to more customers and offering a level of service that rises above the competition", says Dani Amsalem, Co-Founder of Why Epic. Amazon Prime customers can also take advantage of free two-day shipping, thereby cutting shipping time in half and receiving the mount in only 2 days time. "We do what we can to provide excellent service across the board", says David Amsalem, the other Co-Founder of Why Epic.